Montara plus Casita...Here is your ''white'' kitchen...bright & light!! Neutral color palette! Wood flooring and tile throughout. 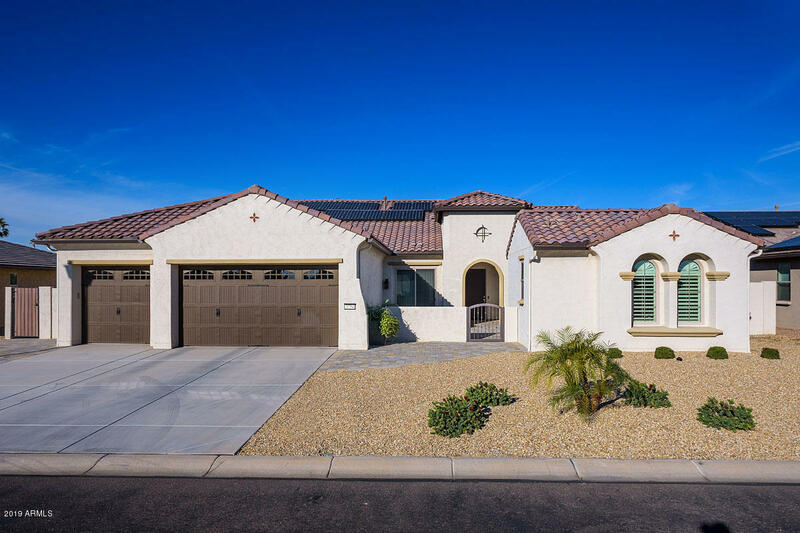 This home has everything you could possibly want, starting with a front Casita and full bathroom. Entryway has pavers with wrought iron gate leading into spacious courtyard. White kitchen cabinets w/SS appliances & quartz countertops; large kitchen island. Main house has 2 bedrooms both ensuite. 2nd bedroom has 2' extension. Lg Den w/double doors & glass panel. Den has double doors leading to patio. Full 3 car garage w/4' extension. Solar & water softener are owned. All windows (incl. Casita) are upgraded to Tuscany Series vinyl windows & include sliding doors as well w/ Pureview window screens. Kitchen nook has slider in lieu of fixed window. Central vac in main home. Gutters at main house, Casita & garage. Comfort height Kohler toilets in main home. Built in pest-control defense w/port access. Upgraded finishes in Casita match main home. All window coverings are remote control in main house. Bay window in Master w/"dual" upgraded shower fixtures, dual sinks and make-up vanity. Laundry room has "pass-through" from master into laundry which has been expanded & boasts full upper & lower cabinets for amazing storage! Backyard is completely fenced-block wall on sides & wrought iron view fencing at the back. Upgraded garage door with windows.